Although we are now about a week into November I’m going to make a post with some goals for November. This is something I’m going to try to do each month here at the blog, more for myself than anything – but it may be interesting for others to follow as well. Creating weekly, monthly, yearly, and long term goals are very important in life (in my opinion anyways) as they give you something to strive for and can help motivate you. 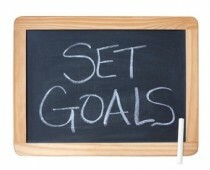 I recommend creating goals for your health/fitness and also for your personal life and work life as well. I run my own business, so having goals set out is extremely important for me to keep motivated and focused on what needs to get done. I highly recommend that when you set goals you write them out somewhere – whether it be in a personal journal, whiteboard in your house, or online at a blog or social media account (Facebook for example). I also recommend that you share your goals with at least a few friends or family members, as letting others know your goals will help you hold yourself accountable. If you tell someone your goal is to workout 5 times per week this month and you go to the gym 6 times total you are going to feel like you failed, and this should motivate you next month. Anyways now that you know why I love setting goals so much, let me get right into mine. My first goal is to workout 5 times per week minimum. I plan on going 5 or 6 times each week, depending on how my workout program is going and how my body feels. It is important to listen to your body, and if it is sore take a couple days off. 1 day off per week is almost necessary, so another goal (although an easy one) is to take one day completely off. My second fitness related goal is to continue playing hockey twice per week. I’ve got a pick up game almost every Tuesday for the next few months and a regular Wednesday night game in a men’s league. Hockey is a great cardio workout, as it usually involves interval sprints on the ice with short rest in-between. This goal won’t be hard to hit because I love playing hockey, but I included it anyway. Besides hockey and some occasional touch football on the weekend I haven’t been doing much cardio, so my next goal is to do a 20 minute cardio workout on a machine at the gym once per week this month. I usually do high intensity interval training (HIIT) for my cardio workouts, but even if I just do a slower pace cardio to get back into it I will be happy with myself. Nutrition goal: I need to eat much cleaner than I have for the last month or so. This includes lots of meat and vegetable dinners (chicken and spinach, steak and asparagus, etc) throughout the week. I also want to cut down on my carbohydrates (especially bad carbs) all month so I can lose some fat I’ve gained recently. A lot of this comes from my shopping routine, so another goal is to get to the grocery store regularly for healthy foods. I plan to eat healthy 5 days per week, semi-healthy 1 day, and have a cheat day once per weekend. As I will include below I want to drop my weight from 201 to 197, and this will mostly be done in the kitchen.